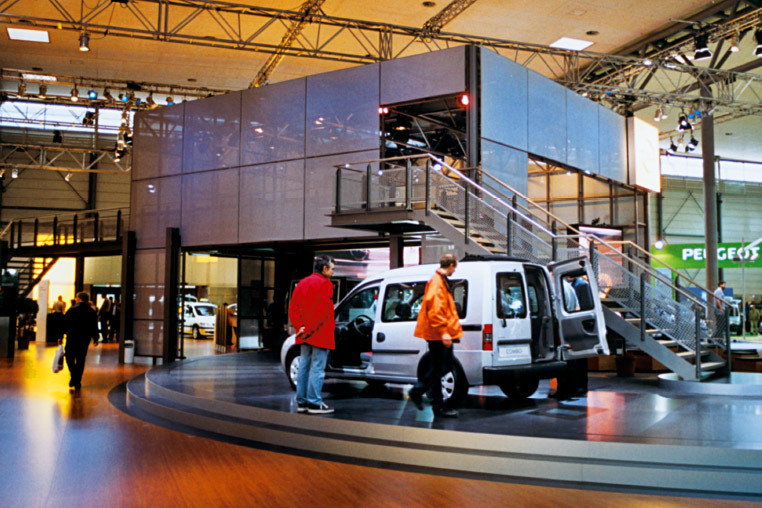 The central element for the presentation of the new types of vehicle is a rotating platform, which visitors can walk on. 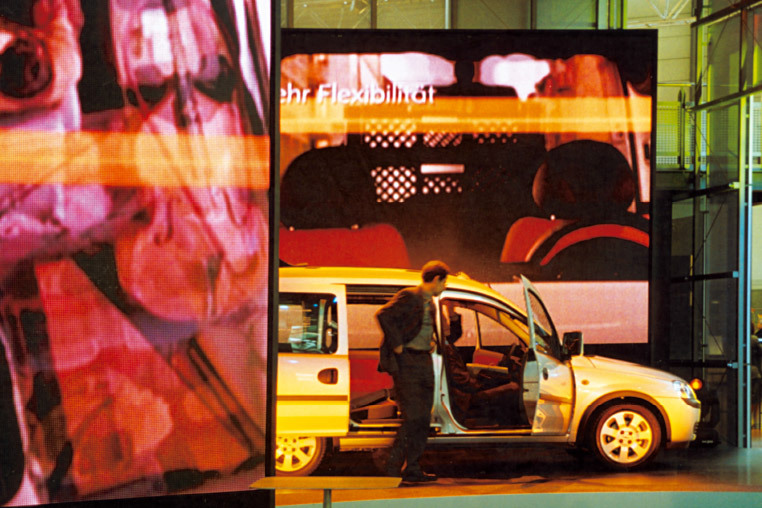 In the centre of the booth, around which the cars circulate, visitors can sit and watch multilayered video projections. 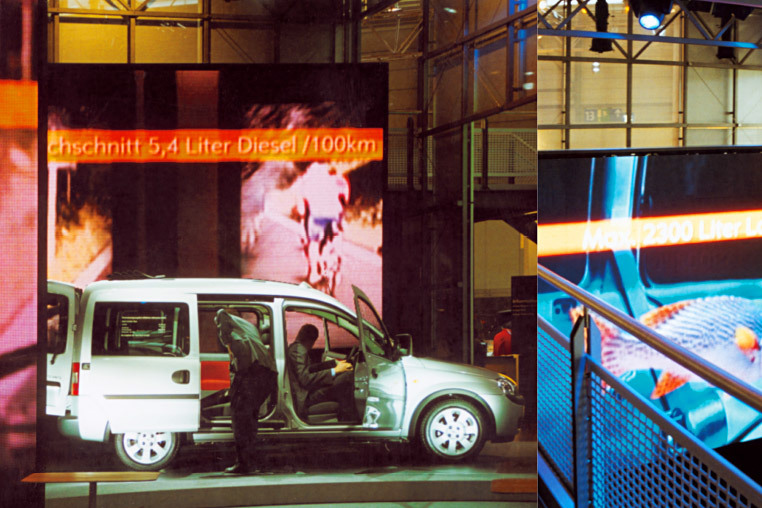 The arrangement of video panels blends virtual and real space. The stand structure is covered with technical gauze and shimmers in changing colours. From the gallery, visitors enjoy views of the whole stand.